A few days back, whilst planning for our regular weekend dinner, Italian cuisine was the chosen one. My friend suggested a place that his better half had recently visited. We were all game for it, even though the restaurant was located at one of the least expected places. EST! by Signor Pomidor is located at Port Rashid. The restaurant is converted from a container to a place to dine in. Run by a single individual, the restaurant is a small one with about 7-8 tables that can seat approximately 25-30 guests at a time. If you are one of those people, who love to see their food cooked in front of your eyes, then you can hop out of the restaurant and peep in through the glass covered kitchen to see the chef at work. The menu is not a fancy one but don’t let that judge the place. With restaurants focusing more on presentation than food, the taste is compromised so very often that I would rather have good food and a not too fancy menu. What’s the best part about the restaurant apart from Emiliano? The fact that the menu consists of the calories you would be taking in. The food is organic, light and gluten free as well. Hell yeah! 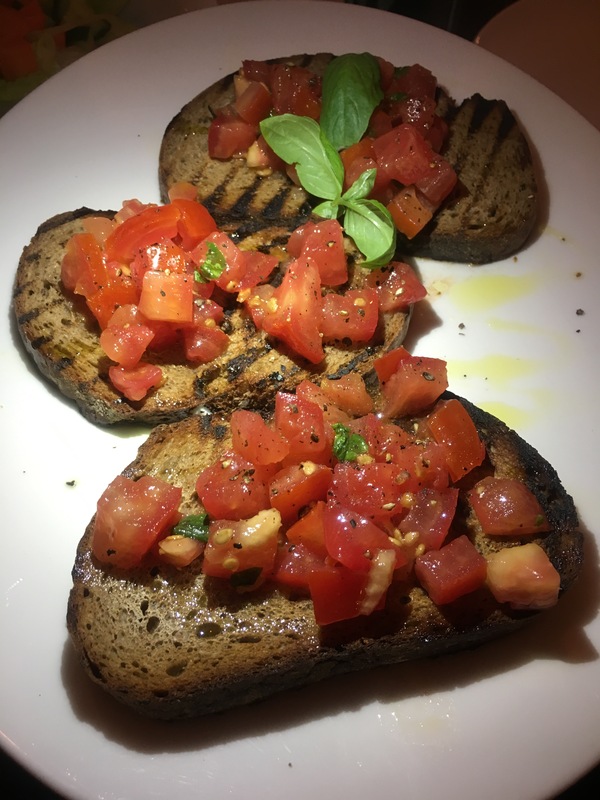 We started the meal with Bruschetta which is served as 2 pieces of bread a portion. The bread is topped with Tomatoes. The Bruschetta is good and one can taste the freshness of the Tomatoes. We were also given a complimentary green salad. We topped it up with some Olive Oil and some Balsamic vinegar. Once again the focus was on freshness of the veggies used in the salad. Pretty good stuff! Moving on to the main course, we opted for a Cotto White Pizza and Ravioli. The Pizza consisted of Mixed Buffalo Mozzarella, Turkey Ham and Rosemary. The Pizza was so soft, light and good. Cut into 4 slices, I could have had the entire thing on my own and would still not feel bloated. I haven’t come across such a thin base Pizza before. The base is prepared in-house. 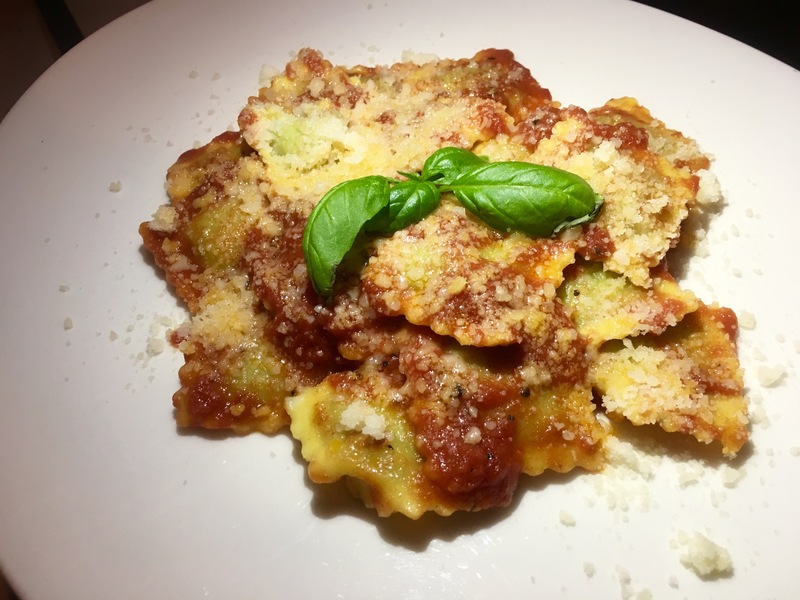 The Ravioli is basically handmade Ricotta fresh Pasta Ravioli in Red Tomato Sauce. The balance of flavours, the accuracy on the amount of sauce used and the fact that the knife cuts through the Ravioli without applying much pressure just shows the quality of the food. 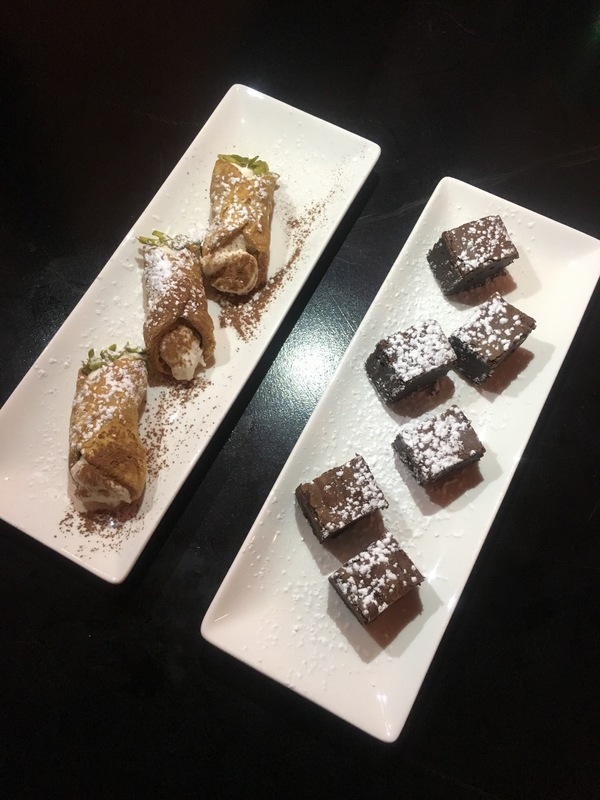 We ended the meal with two desserts – Brownies and Cannoli. The Brownies were pretty good and so was the Cannoli. I however would prefer the Cannoli over the Brownies. I will be waiting for the introduction of new desserts. My overall experience at Signor Pomidor was a good one. Right from the food to the service and the music, everything was just the way it is supposed to be. Will surely visit soon. Next Food blogging – Why lie? The dough cannot be prepared beforehand 🙂 as it would not last more than 5 min. However we do it let rest for at least 72 hours, in order for gases to expand naturally, increase digibirility, and let you enjoy the full taste with 176 Kcal only. In addition we use spring water oh 8.4 transported in glass for Italy and organic type 2 whole wheat flour to add fibers. We also do not use yeast but Pasta Madre: p THE CHEF, EMILIANO Thank you!! !